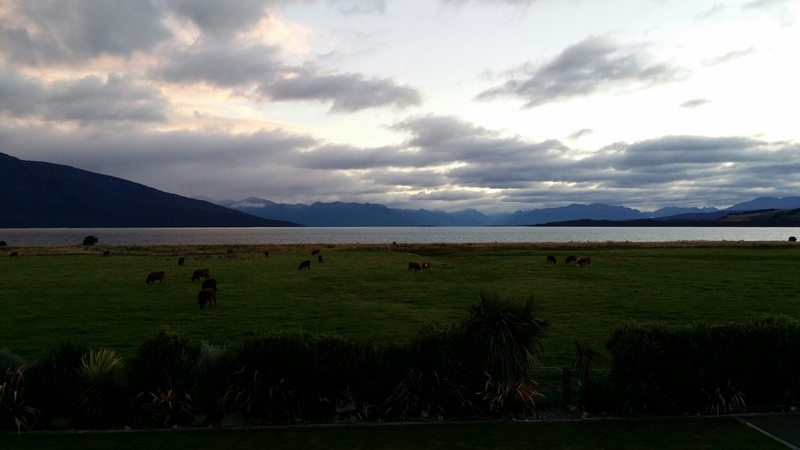 Goodbye Fiordland. Off to the east coast of the South Island for one night. Our drive today is 3.5 or so hours depending on stops. We are staying on the Otago Peninsula and visiting friends we met when living in the UK we haven’t seen for years and years. 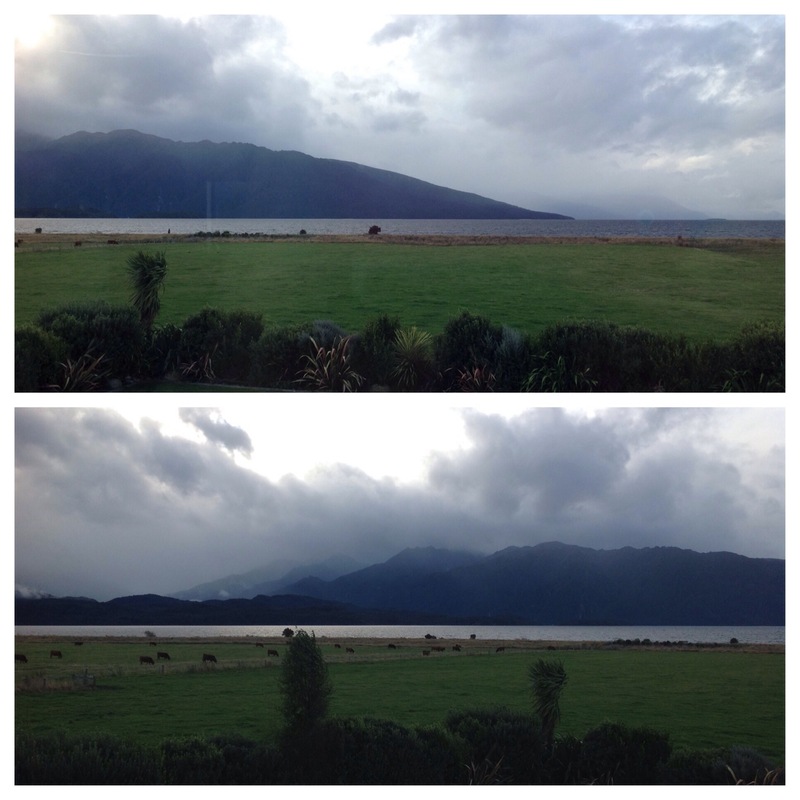 This is the view from our rental house on the lake in Te Anau, Rainbow Lake House. It is for sale for a cool NZ$1.4 million. This morning we day goodbye to Queenstown as we make our way to Te Anau for three nights. 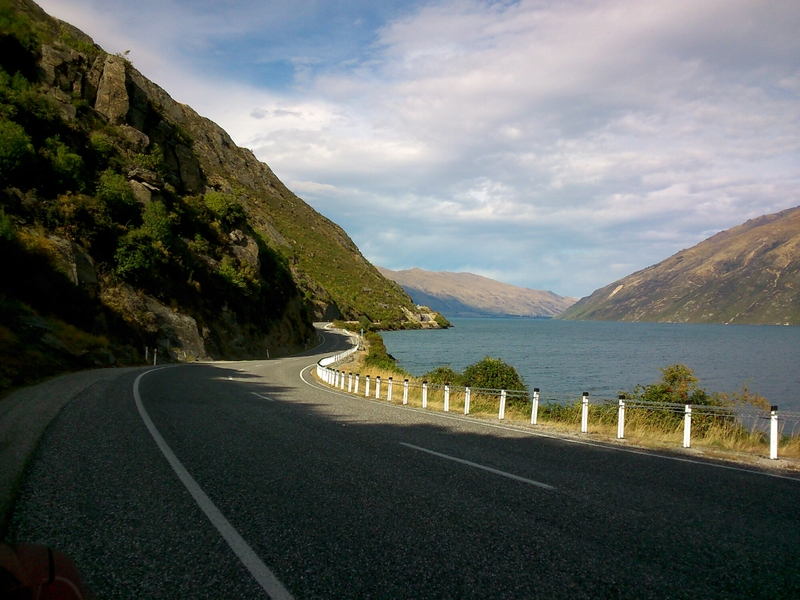 We are driving south along Lake Wakitipu around the Eyre Mountains. The sun is shining and it is 20C outside. Bliss!